Planning a big day calls for dedication, time and money, but when it comes to Cancer bride-to-be, all of that is of abundance. Her goal is to give herself and her fiance a day to remember, and she’ll do her best to achieve that. Not only will this lady make this wedding a day of her dreams, but she’ll also take care that her partner enjoys it to the fullest. Obviously, we are talking about absolutely adorable and loyal woman! Basically, Cancer girl wants complete and utter control when planning her big event. If, however, she decides to hire the wedding planner, she would be interested in accepting expert’s recommendation. Still, an expert has to heed every word of what our bride wants, because her wedding has to be up close and personal, involving things passed down to her from past generations. When choosing wedding colors for the reception, she’ll probably opt for whites and subtle greens. Too neutral and pale for a ceremony? Oh, if you thought that, you are terribly wrong! We are talking about the lady that will decorate the place with many vintage things, therefore the crispness of the greens will keep everything looking fresh! Her bridal party is most likely to wear off-white gowns with minimal accessories. She prefers traditional wedding style and she knows that too much details on bridesmaids will draw attention away from her. 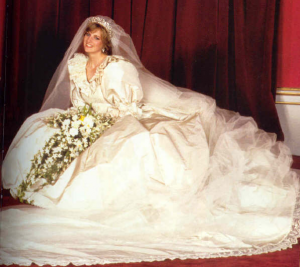 And here we come to the most important thing – wedding gown! This bride will take her mother’s dress into consideration, but only if she is allowed to modernize it up a little. Well, this is what the Cancer women are all about, rejuvenating the classic with a modern twist and embedding a piece of her into old dress. Nevertheless, if she opts for a new gown, she’ll go for something ultra feminine with carefully chosen details. Cancer bride will be walking down the aisle in a wedding dress with embellishments, embroidery and flowers. When it comes to hairstyle, cancer girl likes her hair to look neat and natural, but beautiful and special, too. Hairdressers doesn’t have to worry about the look this woman wants, she’ll let them know what exactly she wants.